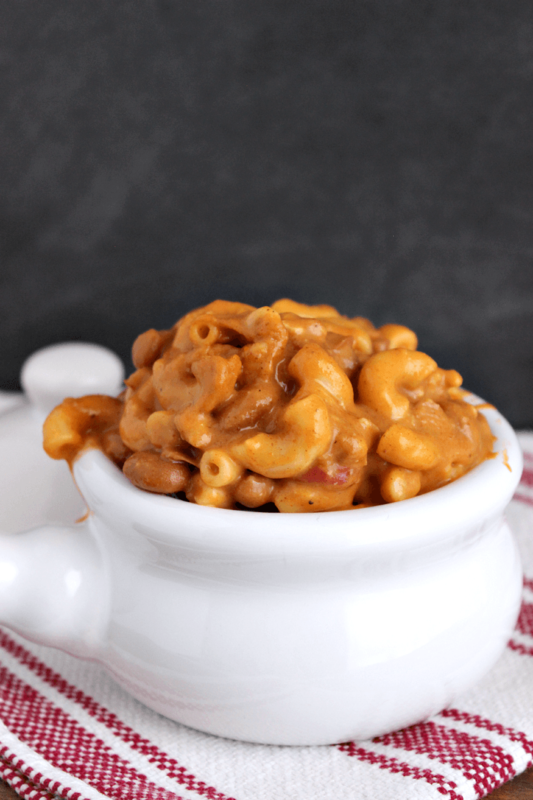 One pot chili mac and cheese is the perfect comfort food, as it is made up of two popular comfort foods. 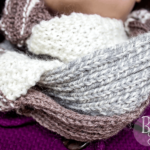 It’s easy and quick to make–done in 30 minutes! I hate doing dishes, so one pot meals are my favorite. Zach’s favorite one pot meal? Hamburger Helper. We both grew up on it, since it was cheap and easy to make (and good–nom nom). 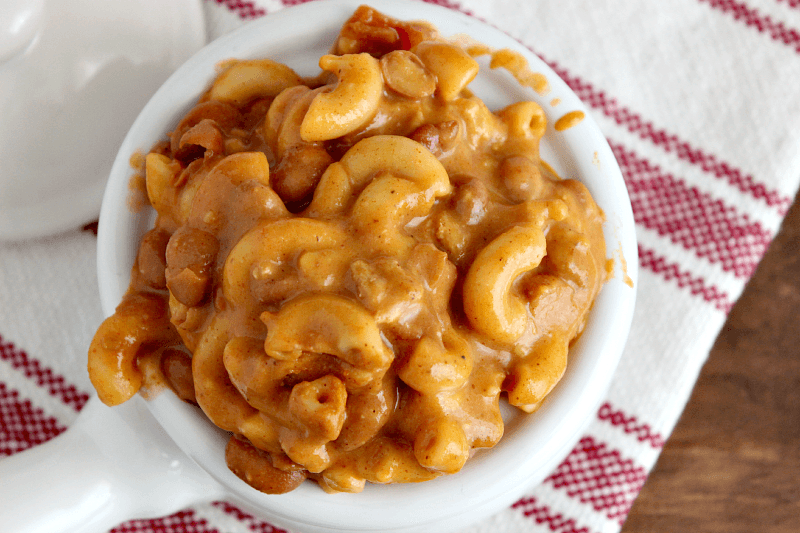 When I decided to combine chili with macaroni and cheese…I didn’t expect it to taste exactly like Hamburger Helper. But it did. And neither of us are complaining about it. So for those of you who love Hamburger Helper, but want to have more control over what goes into it, this is for you. I actually used canned beans and pre-made chili seasoning (because I like it and I wanted something way easy). But you can use homemade and it will work just fine. Step 01: In a stock pot, brown the meat. Drain it and put it back in the pot. Step 02: Add everything except the pasta and cheddar. Bring to a boil and then lower the heat to a simmer. Step 03: Add the macaroni and simmer for 13-15 minutes. Once the macaroni is tender, remove from heat. Add the cheese and put the lid on the pot. Let it sit until the cheese is completely melted and the chili is thick. So easy! It’s just like making chili with a couple minor additions. This is SUCH a great comfort food for crappy weather. I know a lot of your are experiencing waaay too much snow. Here in Georgia, it’s done nothing but rain for a week. Dreary weather everywhere. -_- This should cheer you right up, though! What’s your favorite winter-time comfort food? OMG I remember the first time I had mac and cheese chili! I was skiing at Copper Mt and had it for lunch. So amazing. Thanks for the recipe. It what’s dinner tonight! Mmmm this looks delicious. 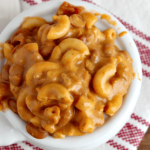 Its similar to the hamburger helper my kids beg me to buy, but its actual food and probably is amazing! I have got to make some of this! When my husband tasted it, he said it was *exactly* like Hamburger Helper. 😛 Definitely give it a shot! 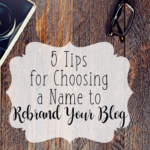 Thank you for sharing your post at Mom’s Morning Coffee weekly linkup! I printed this post to make this week. It looks so yummy!! I also pinned to my beef entrees board. 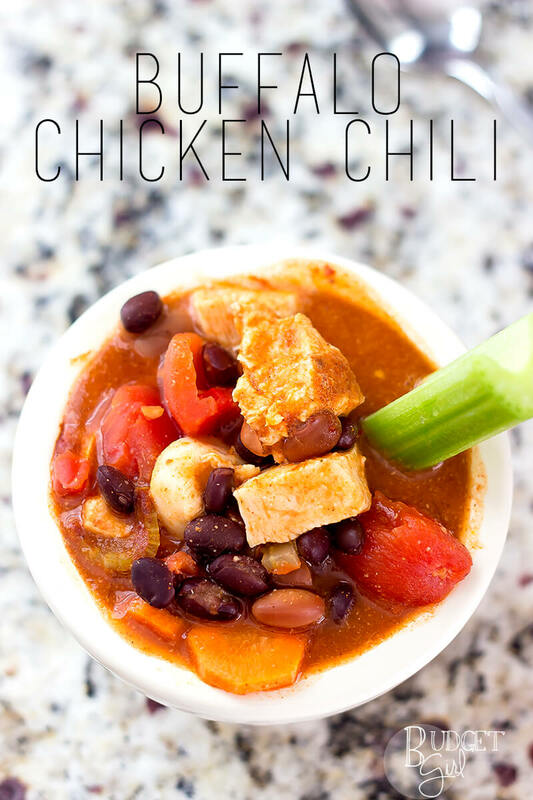 How smart of you to include another delicious looking recipe of buffalo chicken chili at the bottom, too! Headed that way now! I do not tell those in my family that I use turkey because we have picky eaters (husband included). 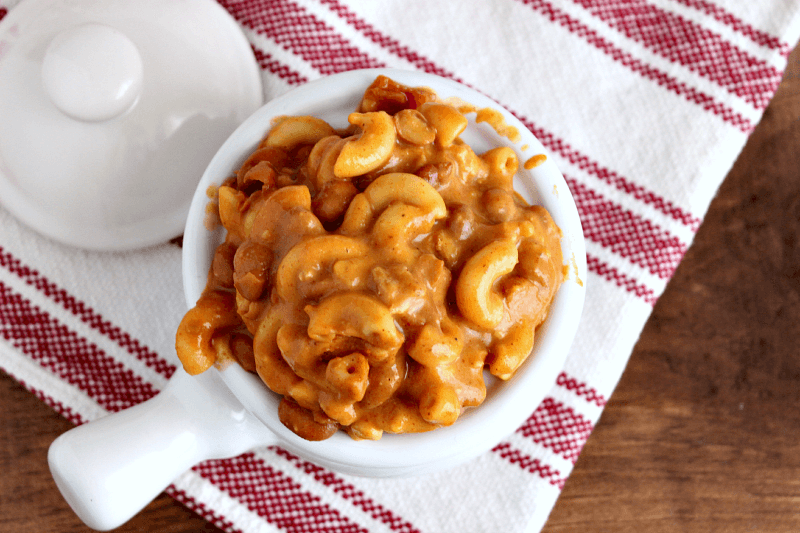 I have to say I love this healthier version of a chili mac. I’m pinning it and can’t wait to try it! lol Well, I hope it’s the one, Jessy! 😛 Thanks for the pin!! Thank you, Kiki! I hope you enjoy it! Which one is Daisy’s Pin Party, though? That one isn’t on my party list. Oooh, this looks SOOOO yummy! 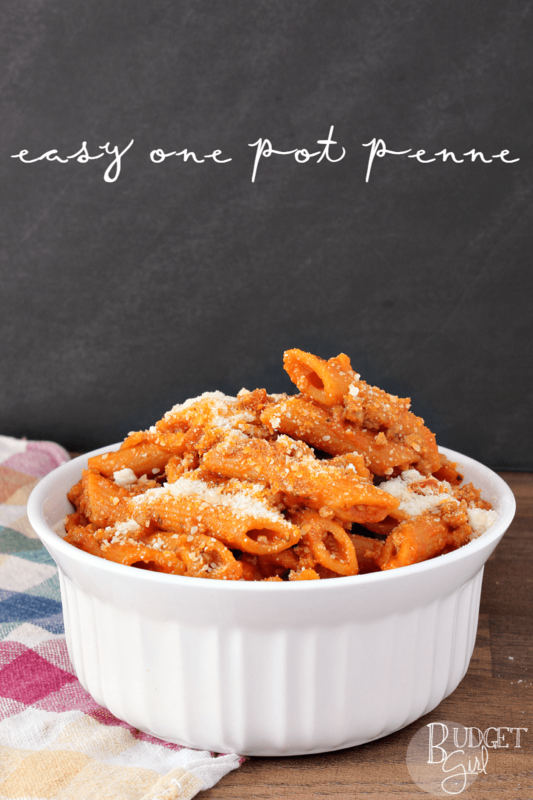 Mac and cheese is my fave dish so I’m always looking for new recipes to try! I love how easy this would be to make. Pinning for future reference. Easy meals are my favorite, Rose! 🙂 Thanks so much for the pin! Oh, I definitely will try to add the chili part to the mac and cheese to see how my kids like it!! My kids have never had hamburger helper so I’m hoping they enjoy it! I must make this for my kids. They will just lovvvvvvve it. I cannot wait. I would love it if you would share this delicious post at our WIW Linky party. I hope you can join us. Thanks for the invite, Paula! I want a big bowl of this right now! 1 question: how much chili seasoning? The entire packet (or equivalent) from the chili kit (even though that’s intended for 2 lbs. of meat)? Have you ever used less than 4 cans of chili beans? Seems like a lot for our family’s liking. Do you also use the masa in the chili mix? Can’t wait to try this recipe! just a question, drain the beans? Nope! Use the whole can. This looks absolutely delicious! Definitely going on our meal plan soon! Thanks for sharing your recipe with us at Merry Monday! I am at work right now and so hungry…I am practically drooling on my keyboard! 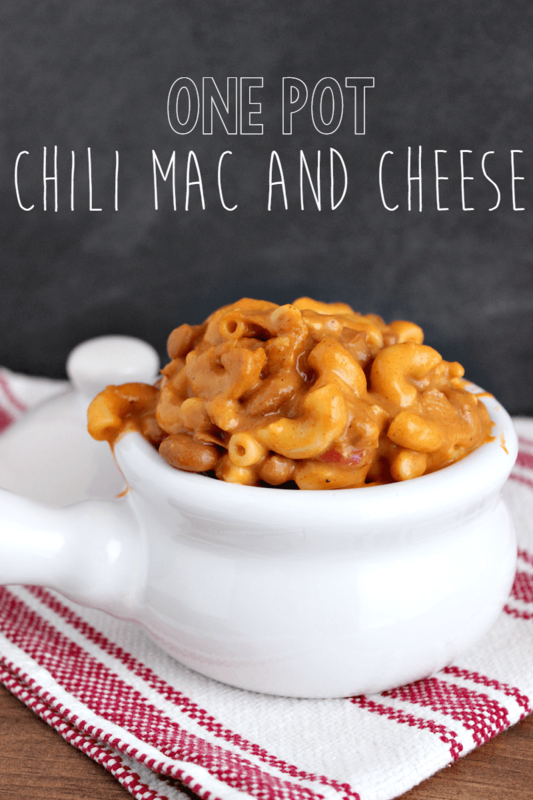 Your Chili Mac has got me so hungry, I want to go to the kitchen and make it right now! Thanks so much for sharing this awesome post with us at Full Plate Thursday. Have a great week and hope to see you again real soon! Yum! Thanks again for joining us at the Inspiration Spotlight party. Pinned & shared. Looks delicious! Perfect for a cold night! Have not had Chili Mac and Cheese since I was a kid. Totally saving this one! This looks a lot better than the box hamburger helper. I think that my grandson will love this!